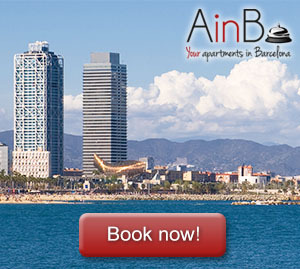 Are you a fan of Barcelona architectura? If you want to discover the secrets of the architecture of the city of Barcelona, this is your place. We recommend places, buildings, monuments and architectural secrets of Barcelona to enjoy the most of your stay in the city. Barcelona is a city of contrasts. Mountain and beach, tradition and the newest trends, local atmosphere in an international environment. All these elements live together in the famous Condal City. Sagrada Familia, Park Güell, Casa Batlló, Casa Milà… At this moment you probably already know who are we talking about: Antonio Gaudí, the best known catalan architect and maximum exponent of modernism in Barcelona. The catalan capital is, indeed, the main scenario where we find the best of Gaudí . How to define a city as “architectural”? Certainly this must be one that offers different styles, different point of views and personal designs which provide a unique personality that is not only subscribed to a stream, but that becomes into a world reference of the architecture. This is the case of Barcelona, but…why? The neighbourhood of the Sagrada Familia is a charming place in Barcelona which has the great privilege of coexisting with the most famous (and most visited) temple of Spain. This privilege has also something of a curse: there are millions of tourists who move to this area of Barcelona just to see the wonderful Gaudí’s masterpiece and do not enjoy the atmosphere which is much more than the Sagrada Familia. What to look beyond the famous temple? The Eixample, despite being a typical residential neighborhood, contains authentic gems and palaces that became a collection of the most pure modernist essence. As a typical residential district of the bourgeoisie and in a privileged location between the old town and the village the district of Gràcia has been the testing ground for most renowned Barcelona architects and modernist artists. This fact is easily observable in the facades, which also save many examples of later interventions. Going for a walk in the Eixample is like being in an open-air museum. There are cities whose charm is built in one certain period, and that period was the one that gives them the fame even if they have developed other styles. Thus, as much as can be retrofitted and modernize, the charm of Athens will always be the classical Greek era, the charm of Rome will always be the Roman Empire era, talking about Madrid the Hapsburg era… and in the case of Barcelona, despite all kinds of Mediterranean nations and different architectural styles coexist, is the modernism the most famous architectural style in the Catalan capital.